The South Carolina Association of School Librarians is a strong network of school librarians working across the state to advocate for school librarianship and our vital role in student achievement. In 2016, for example, the network presented research showing that standardized test scores increase in schools with a full-time, certified school librarian. Importantly, the research showed that students were more likely to score Exemplary (the highest rating) on South Carolina state testing “where librarians spent 20 or more hours per week teaching.” Teaching? The librarian? Yep, the librarian. Certified school librarians take courses in children’s and young adult materials, learning American Association of School Librarians standards and building standards-based instructional units using those materials. Revisit your content standards and ask your school librarian how books and readings can be incorporated to reach those standards. Many school librarians serve on book award committees, reading hundreds of new books each year to vote on winners. Secondary classroom teachers may not be aware of the Printz Award, the Odyssey Award, or the Alex Awards, to name just a few. Let us help you bring award-winning books from across the curriculum to your students. Historical fiction and young adult nonfiction science books are vastly underused in classrooms. Classroom teachers know they shouldn’t rely on textbooks and PowerPoint presentations as teaching strategies, but they may not know that school librarians can provide reliable online, real-world texts from databases and websites for a student-centered classroom. As you build a classroom library, collaborate with your school librarian to determine which books will ensure diversity and equity—we’re professionally trained in building collections with equity, access, and diversity as key components. Your school librarian can supplement your classroom library with the school collection. Ask about ebooks and digital audiobooks, books for displays, and mentor/anchor texts. In our required coursework, we learn how to teach research skills to students, how to retrieve information from all types of databases and web browsers, and how to choose appropriate tools for student use. These are skills that require explicit teaching and are needed across academic disciplines. School librarians read professional journals related to book publishing and literacy as well as lesson plans published by other school librarians to learn how others promote reading in their schools. You can enhance your personal learning network by tapping into your school librarian’s network. We also take courses in how to build successful reading programming. We set up reading contests, writing contests, book clubs, book giveaways, reading goals, Skype sessions with authors, and more. 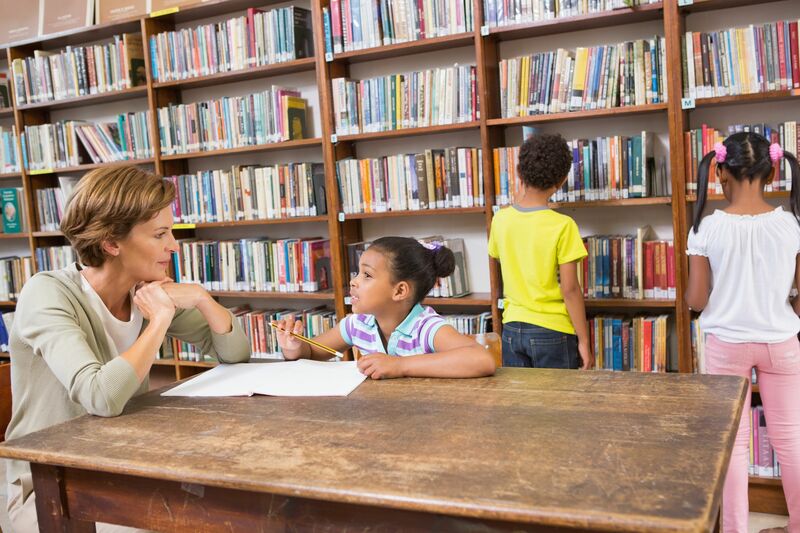 School librarians can help classroom teachers implement various reading strategies, such as chunking a difficult text, journaling during reading, listing difficult words encountered while reading, and making reading goals. We can plan events using resources from local public libraries, museums, businesses, community leaders, and more for students to engage in authentic learning experiences. A school librarian can help you connect students with local historical resources, for example. Using information ethically is arguably one of the most important parts of teaching digital literacy, and we teach students how to cite information appropriately, guard their privacy, and share information ethically. English language arts teachers and school librarians share similar passions, and we can maximize all of our talents by combining forces to achieve our goal: guiding students to become literacy leaders themselves.